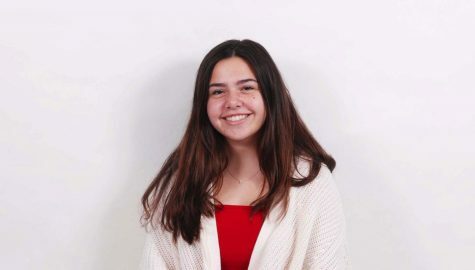 Giuliana Mignola is a 16-year-old sophomore at SBHS. She took journalism because she's interested in writing as well as photography. This school year she hopes to achieve better grades and volunteer. She's recently joined Key Club and wants to join another club. In her free time, she enjoys listening to music, drawing, and hanging out with her friends. On the weekends, Giuliana usually volunteers and goes to the beach. In ten years, she sees herself graduated from college and having a steady job relating to science.